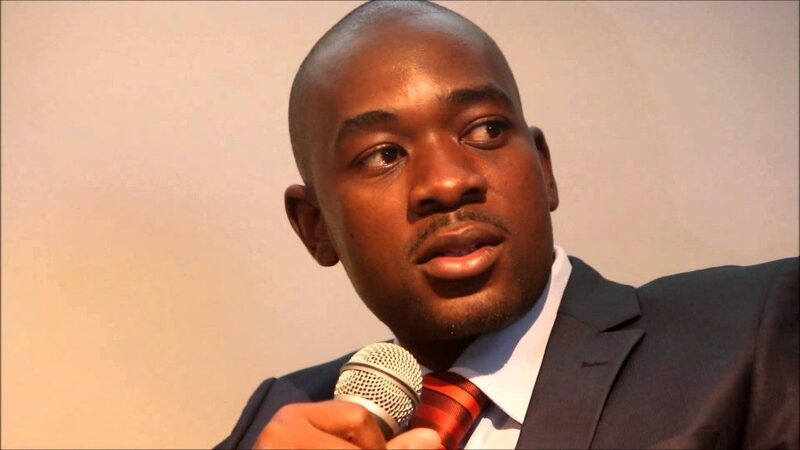 A recent pre-elections survey has revealed a surge in the MDC Alliance Presidential candidate, Nelson Chamisa approval ratings among voters with 42 percent of Zimbabweans convinced about his capacity to perform better in terms of employment creation. According to the survey conducted by a pan African research institute, Afrobarometer, 32 percent of voters vouched for the Zanu PF Presidential candidate, Emmerson Mnangagwa in terms of job creation while 18 percent were undecided. The survey comes at a time when unemployment in Zimbabwe is estimated to be standing at over 80 percent, though a Zimbabwe National Statistics Agency (Zimstats) have put the figure at a conservative 10 percent. The Afrobarometer results also pointed to improved trust in the opposition leader, his party and the MDC Alliance which increased from the 40 percent recorded in May to 48 percent. The survey, however, predicts a tightly close election outcome between the incumbent (40 percent) to Chamisa’s 37 percent. In May, 42 percent of voters preferred Mnangagwa to Chamisa’s 31 which was a 11 percent difference now reduced to 3. Chamisa also appeared to have an edge in terms of urban voters with 49 percent of respondents saying they will vote for him to Mnangagwa’s 26 percent. On the other hand, rural voters still preferred Mnangagwa (48 percent) to Chamisa’s 30 percent. “In what is proving to be a volatile contest, further swings are possible in the final weeks of the campaign. For example, even over two short months between early May and early July, the MDC made gains in support for parliamentary candidates whereas the ZANU-PF’s support stalled (or perhaps even dropped),” reads part of the survey. As such, the survey hinted on the prospects of a Government of National Unity with a considerable percentage of participants giving it a nod. “A power-sharing option has long been favored by the Zimbabwean citizenry. Responses in July 2018 were no exception: Fully 60% wanted a GNU (Figure 17). Moreover, the proportion of Zimbabweans who thought that a GNU was the likely outcome of the 2018 election was also on the rise (from 33% in early May to 41% in early July). While this alternative outcome was far from guaranteed, its popularity surely reflected the tightening of the race,” reads the survey.